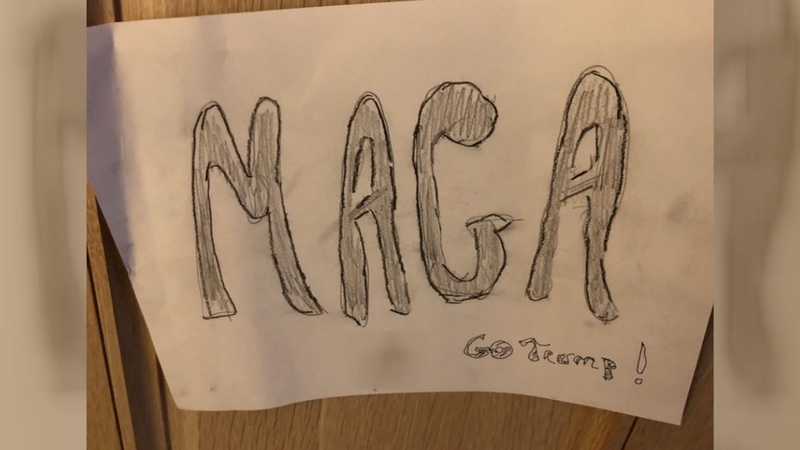 SAN FRANCISCO -- In an exclusive interview, ABC7 News spoke with a San Francisco homeowner who said his home was vandalized and he believes it all started after he put out an "Impeach Trump" sign on his balcony. The San Francisco resident prefers to remain anonymous but said, "I kind of feel like the eggs had gone too far and I felt violated at that point. My kids live with me and I thought what will he do next? He can throw a rock through my window." Let's rewind to three months ago when the trouble began. 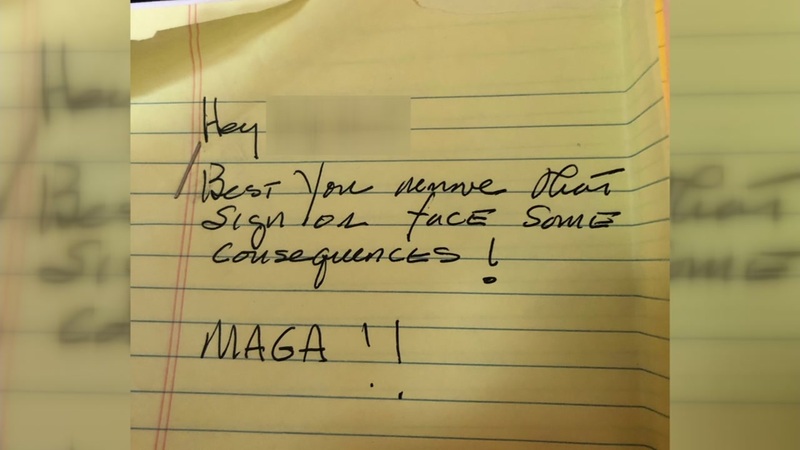 First, the homeowner received a letter in the mail that said, "Best you remove that sign or face some consequences!" The sign is located on his second-floor balcony and reads, "If you're not outraged you're not paying attention-- Impeach Trump." "Then two weeks ago, I got a second handwritten note that was a little bit disturbing. It said, 'MAGA-- Trump and with an obscene gesture said F--- U Libby', and this one, it looked like someone had spent a lot of time on it. It was premeditated more so than the other ones," said the homeowner. The homeowner decided to post the photo of the suspect on the app NextDoor hoping that someone would identify him. What he actually found were allies. Surveillance image of a man a homeowner believe vandalised his home. "I always appreciate his sign. I just live across the street and I'm fully supportive of his sign. I think it's a matter of protecting free speech rights," said Sara Warner. "Now if he has five signs he's going to be too busy. He's not going to come after everyone. I think there is strength in numbers," said Warner. Even after several letters from the presumed MAGA supporter, this homeowner is not planning to take down his sign. "I have no intention of taking the sign down," said the San Francisco resident. 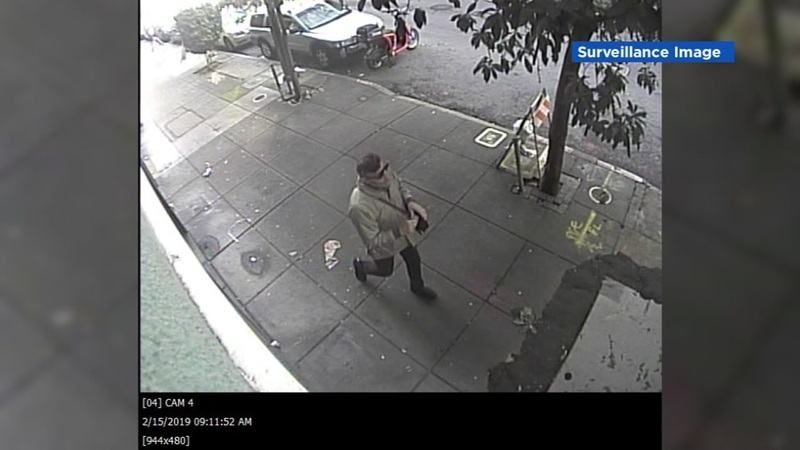 We contacted San Francisco police, and they said they can't comment or investigate until they have an official report on file.